When Brooklyn bookstore owner Bea James is let down once too often by unreliable boyfriend Otis, she swears off relationships for good, determined instead to focus on her successful business and otherwise happy life in New York. Meanwhile, on the other side of Manhattan, Jake Steinmann is nursing a broken heart after his beautiful wife Jessica files for divorce. Relocating his life back to New York from San Francisco, he throws himself into setting up his psychiatry practice and supporting older brother Ed who is preparing to wed love of his life, Rosie. 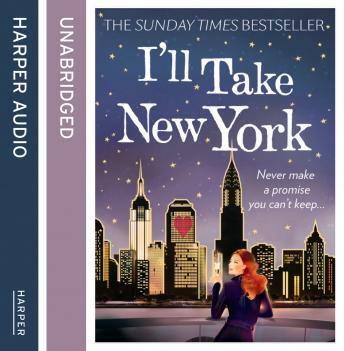 Unexpectedly thrown together at Rosie and Ed's engagement party where they are the only two singles, Bea and Jake bond over their dislike of relationships - a conversation that ends with a promise to never get involved with anyone ever again. But as their friendship grows both Bea and Jake begin to wish they'd never made their pact. Can they find a way to follow their hearts before it's too late?